Joan Bennett and director Fritz Lang on the set of “Scarlet Street” (1945). Director Fritz Lang demonstrates an assault sequence for Dan Dureya and Joan Bennett on the set of Scarlet Street (1945). Children of Paradise (1945, Marcel Carne’). German poster for the 1966 re-release by Isolde Monson-Baumgart. Check out this limited edition poster of Pasolini’s Teorema. Maureen O’Hara on the cover of Photoplay, October 1945. 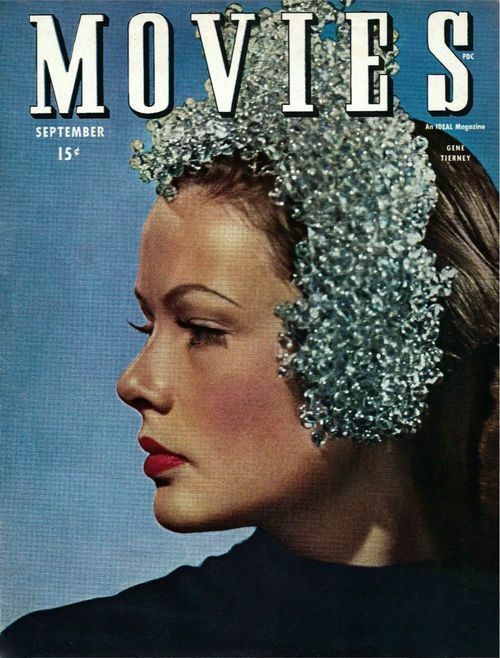 Gene Tierney on the cover of Movies magazine, USA, September 1945. 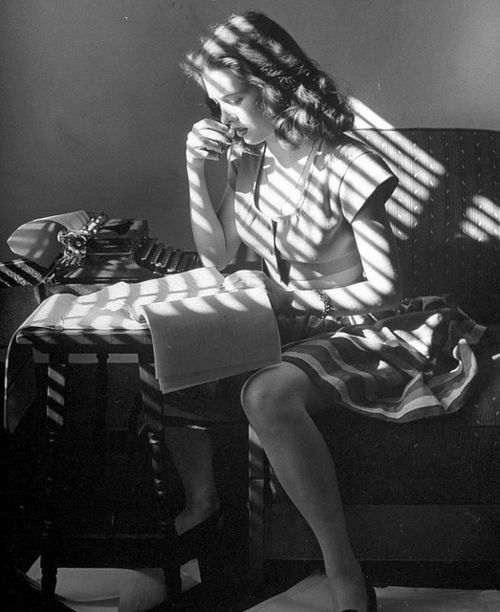 Actress Cathy O’Donnell working on her poetry, 1945, photo by Martha Holme. 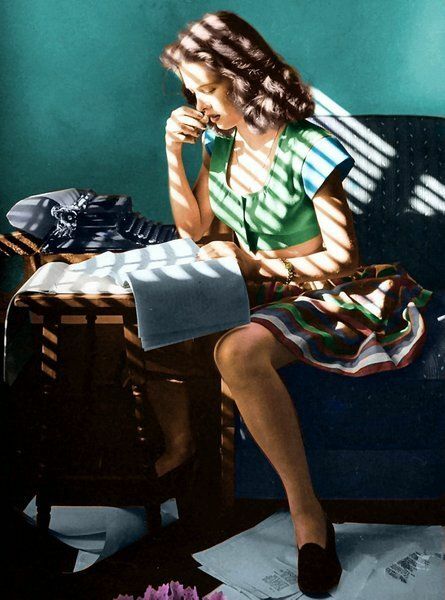 You know her from “They Live by Night”, “Side Street” and “The Best Years of Our Lives”. Original and colorized.